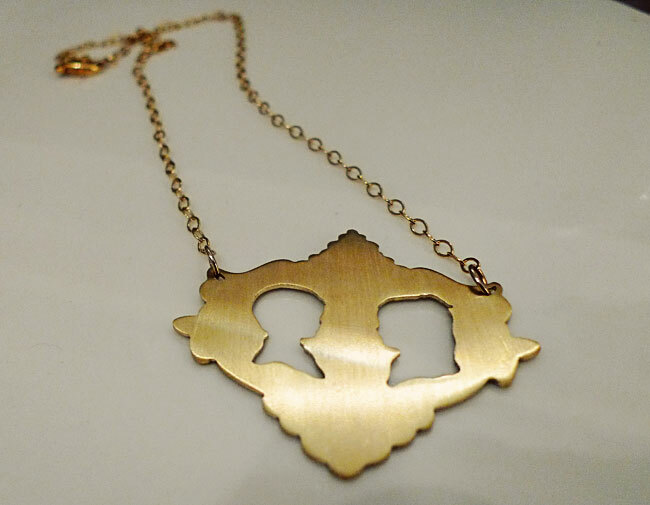 First up, a custom necklace for Cory's mom with the silhouettes of her son and daughter. 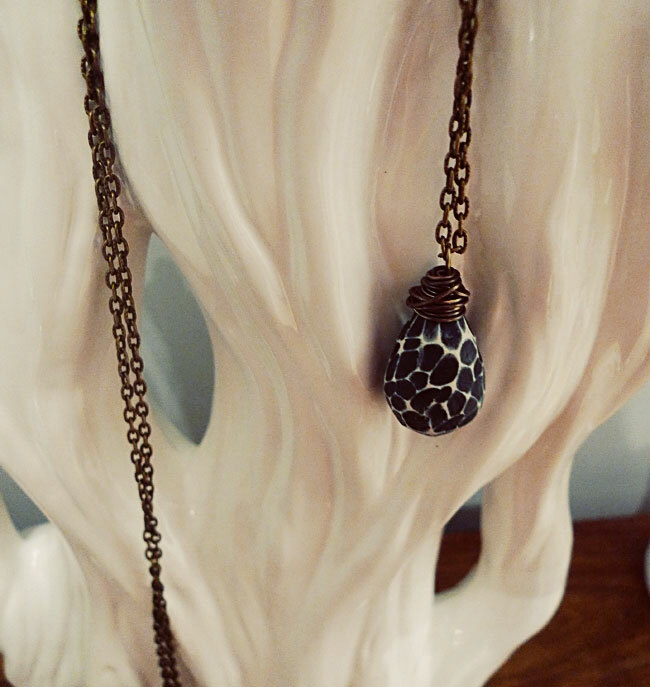 A lovely erudite necklace for Annie on an extra-long chain. 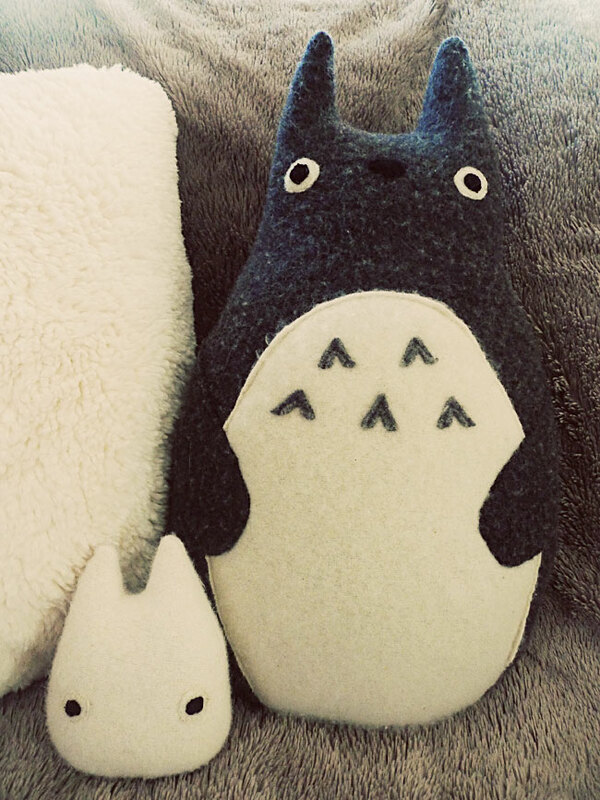 The awesome Totoro for Cory that you already got a sneak peek of. Made by Three Bad Seeds. 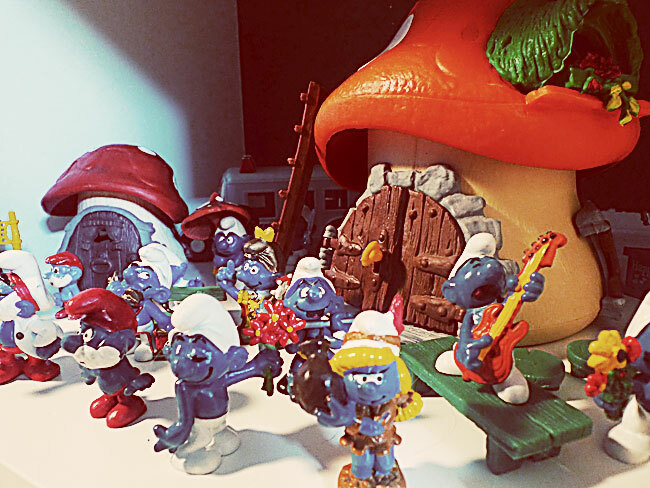 A set of vintage Smurfs complete with mushroom cottages for Cory. Next up, the oh-so-wonderful gifts I was given. Each gift is lovely (and fun in case of the smurfs)! I especially love the silhouette necklace. Happiness all over :) I LOVE, LOVE, LOVE my necklace! Such a precious keepsake! (((Thank you)))...again!